I finished this in no time. You can see my review HERE! So what's in your mailbox this week?? Leave a comment with your link so I can check it out! I was lucky to pick up Wings through amazon.com from Pageturner's Blog, too! I'm excited to read it, looking forward to the series. Unfortunately for me too many review books ahead of this one. Though, I may be able to sneak it in through the "Show Me the Free" reading challenge? It was free, so it should qualify. I also got Ultraviolet on NetGalley and probably won't read it in a while but looking forward to your thoughts on that as well. I loved Wings! It was such a great read and a new look on fairies. Hope you'll enjoy your books! My TBR is a mountain not a pile at this point. I'm on restriction too! At least until the new Rachel Gibson comes out towards the end of this month! Come see what got In My Mailbox. I haven't received my copy of CoFA yet .. =( I can't wait to read it !! I hope it is as good as the previous books in the series !! 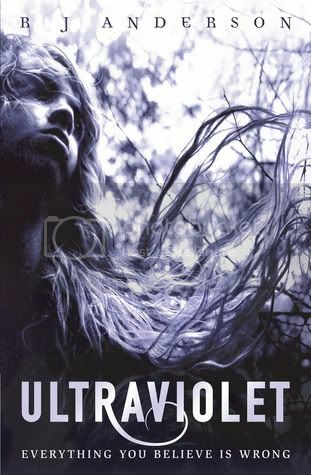 Ooh I can't wait to read Ultraviolet. Sounds amazing, and my copy of City of Fallen Angels is on it's way. Hurry up postie! I bought City of Angels for a friend of mine just this week. She loves to read as much as I do! Ultraviolet sounds so great! I can't wait to see what you think! I got Wings and CoFA too! Great books this week! I didn't get too many books this week either! Seeing a lot of Cassandra Clare's book this week though! I got all these 3 books too. Happy Reading!! Old follower. Ultraviolet's cover is really cool. I picked up the Wings ebook as well...can't wait for the next on in the series! My guilt for not reading City of Fallen Angels yet is killing me this week. Am I the last lover of YA to get to those? *shameshame* You had an amazing book week, three will keep you busy ;) I hope you enjoy them all. 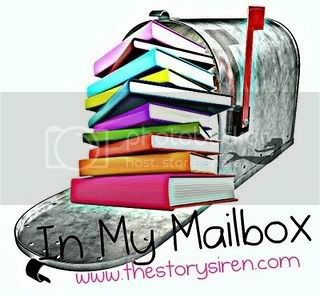 You can find my mailbox here: http://blog.juliealindsey.com/ I'm normally a YA girls, but an eBook win this week had my mailbox full of romance. I LOVE TMI and couldn't believe that COFA is finally out in stores and that I read it in no time aswell. I cannot wait for COLS!!! Some good looking books. Everyone seems to have CoFA in their mailboxes this week. I have yet to read the series but I'm starting on it now. Great haul! 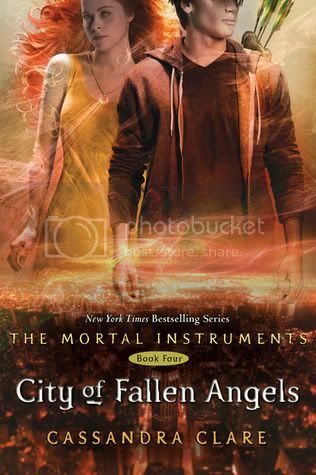 Everyone seems to have their copies of "City of Fallen Angels" and it upset me that mine hasn't came in the mail yet. I loved wings, i hope ou enjoy it as well! Great books this week. Still waiting for CoFA to arrive - hopefully tomorrow. That's okay, that you didn't get THAT many. CoFA is awesomeness in itself, and we both got WINGS for free this week! Yay, us! ULTRAVIOLET sounds fantastic, and has my eager to learn more. Thanks for stopping by the blog earlier, too! Good IMM! I need to restrain myself quite often as well! I got Wings from Amazon for free, as opposed to BN, and am really excited to read it! Yay for CoFA!<3 I've got it too and I'm dying to read it! I can't wait to see what you think of Ultraviolet, sounds interesting! I love that just about everyone I have seen got CoFA (including myself!) Happy readings!! I got CoFA and Wings also. Except I just realized I forgot to add it to my IMM post! Great review of CoFA! I loved that book. I'm really looking forward to Clockwork Prince!! hi christy! awesome books this week. so jealous you got your copy of CoFA--still waiting for our from amazon. Hi Christy! I hadn't heard of Ultraviolet before! Thanks for the heads up. I'm going to have to add it to my TBR list. Wow. My list just keeps getting longer and longer. Oh dear.